From the Provence region in South France comes the beautifully authentic creations of Panier des Sens. 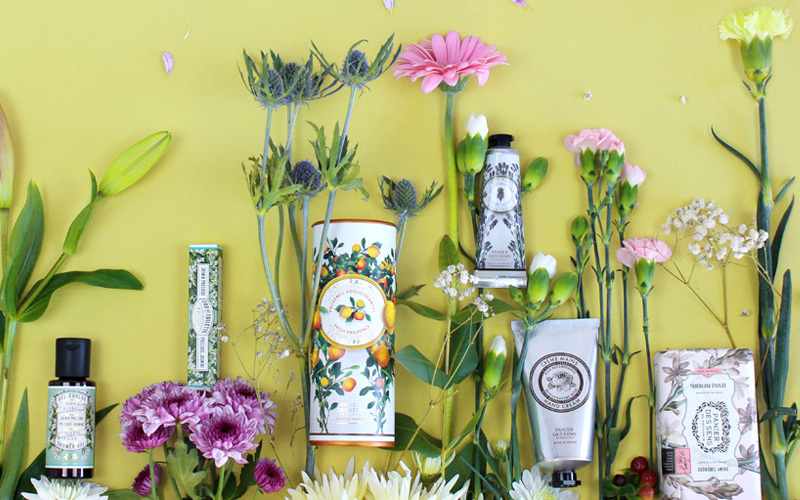 Using locally sourced, natural ingredients, Panier des Sens delivers an wonderful collection of hand creams, , and other bath and body products. Panier de Sens commitment to excellence ensures you are purchasing items that are both luxurious and premium quality. It is in the South of France that PANIER DES SENS cosmetics are conceived and developed. Inspired by natural resources and Mediterranean know-how, the lines of body care, toiletries and perfumes magnify the beauty of Provence through elegant products, subtle textures of evocative and delicate scents. We combine research and nature to take the best that Provence has to offer. Born in Marseille and nurtured from an early age in the gentle lifestyle of Provence, Jérôme Lambruschini grew up in the shade of the cypress trees and mimosas of the Southern Alps region. He spent every vacation in the family house at Sault in the Vaucluse, among the foothills of Mount Ventoux. His grand-father passed him down his passion for trees, the vegetable garden and nature. As for his mother, she instilled in him her love for the earth and perfumes. It is from the roses, lavender and olive trees grown by neighboring producers that the idea of PANIER DES SENS was born 15 years ago.